The contest seeks creative vision for the music legend's greatest hits. Elton John is launching a global competition to create official music videos for three of his classic songs: "Rocket Man," "Tiny Dancer" and "Benny and the Jets." 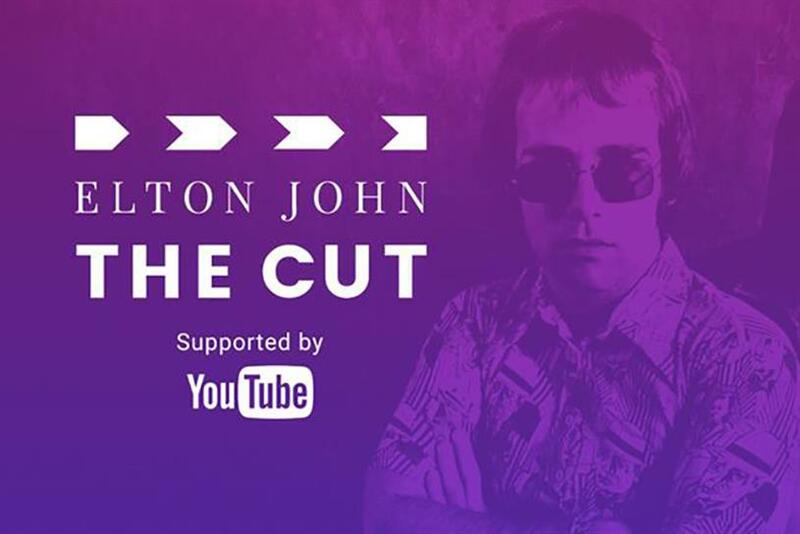 The contest, "Elton John: The Cut," marks the 50th anniversary of John's songwriting partnership with his lyricist, Bernie Taupin. The initiative launched tonight at YouTube's Brandcast, hosted by James Corden. Entries will open to the public on Jan. 9 via the competition's website. John and Taupin will then select three winners, whose videos will premiere on YouTube in the summer. John said: "We’re excited to partner with YouTube to bring together generations of artists and music lovers around a shared passion for storytelling. "YouTube is a rich tapestry of creativity, and I can’t wait to see how the breadth of talent from the dance, live-action and animation communities apply their vision to these cherished songs." AKQA worked with John and his company, Rocket Entertainment, to create the idea and develop the brand design and web experience. Vivien Lewit, YouTube’s global head artist content and services, said: "This is a dream project that puts iconic music from a legendary artist in the hands of new creative talent, to reinvent these classic hits. "We’re beyond thrilled to partner with Elton John and Universal to enable this program and bring to life a new way for the passionate fan community on YouTube to experience these songs that have inspired generations."